Wood automated the process of getting sponsorships for his podcasts on devchat.tv. He kept his average invoice at $10k, and the average invoice was still 8 weeks long, but he raised his fill rate from 42% to 86%. 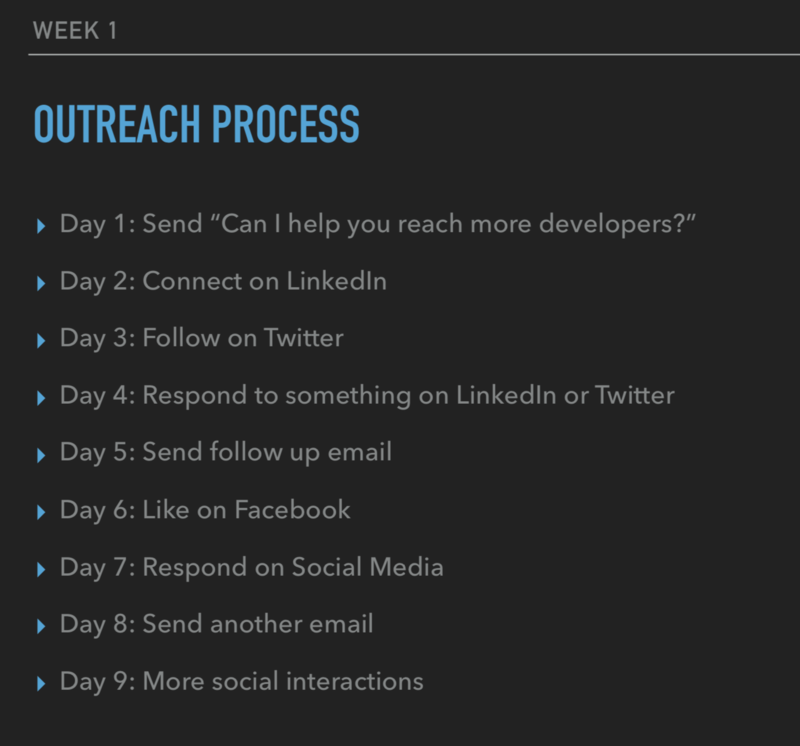 Charles Max Wood's outreach follow up schedule. How? He reached out to more companies, which meant they scheduled more calls, which meant more sponsorships sold. Wood also set a schedule to follow up on renewals. Charles Max Wood manages his outreach checklist on HubSpot. How do you identify targets to put in the funnel? Next, schedule a sales call! You can use meetings.hubspot.com. Hire someone to do my prospecting for me. Have them handle renewals. This is how I’ve maintained the fill rate. Record videos and have someone else actually write the emails. For questions, email Chuck at chuck@devchat.tv.